How can I add a line onto each bar in a ggplot barplot? How can I do it? I tried geom_hline, but that produces lines that cut across the entire chart instead. We use geom_errorbar()to draw the lines in the data frame and then reduce their width by manually setting ymax and ymin to the yvalue. Credit goes to this source. Not the answer you're looking for? 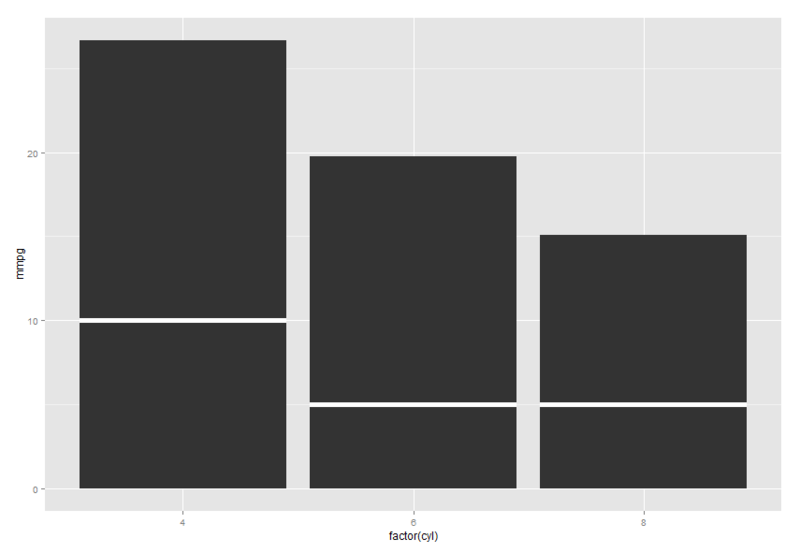 Browse other questions tagged r ggplot2 bar-chart or ask your own question. How to plot the ratio (percentage) of values of a variable as stacked barplots? In ggplot, how can I print the count above only a specifc bar in a barplot?